Adam has been working with students since his days at the University of Colorado, where he earned his bachelor’s degree in civil engineering. But the Lord promptly called him instead into the wonderful world of youth ministry. 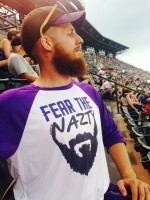 He and his wife Sharayah enjoy Rockies baseball, English soccer, and enjoying all the Memphis has to offer.